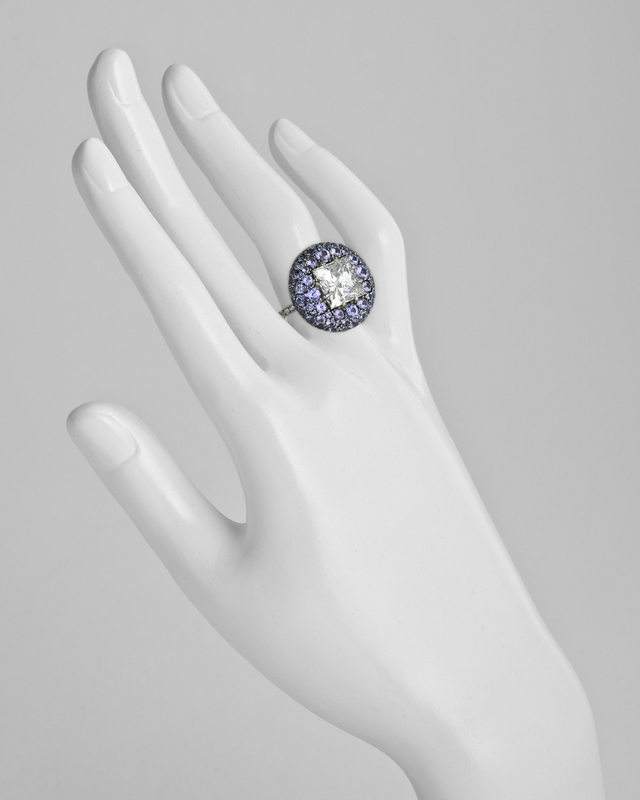 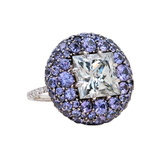 "Pebble" ring, centering a princess-cut diamond within a circular, bombé-style mount of pavé-set violet-blue sapphires, the shank further accented with round-cut diamonds, mounted in platinum. 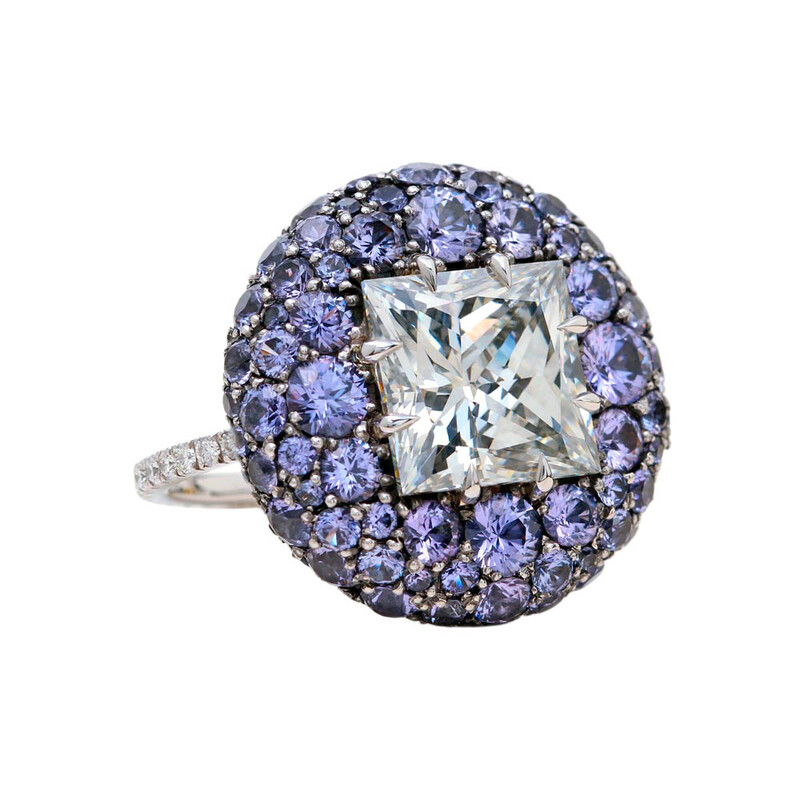 Princess-cut diamond weighing 5.04 carats (I color, SI2 clarity, violet-blue sapphires weighing 4.52 total carats, and colorless diamonds weighing 0.43 total carats, (D-F color, VS1-VS2 clarity). 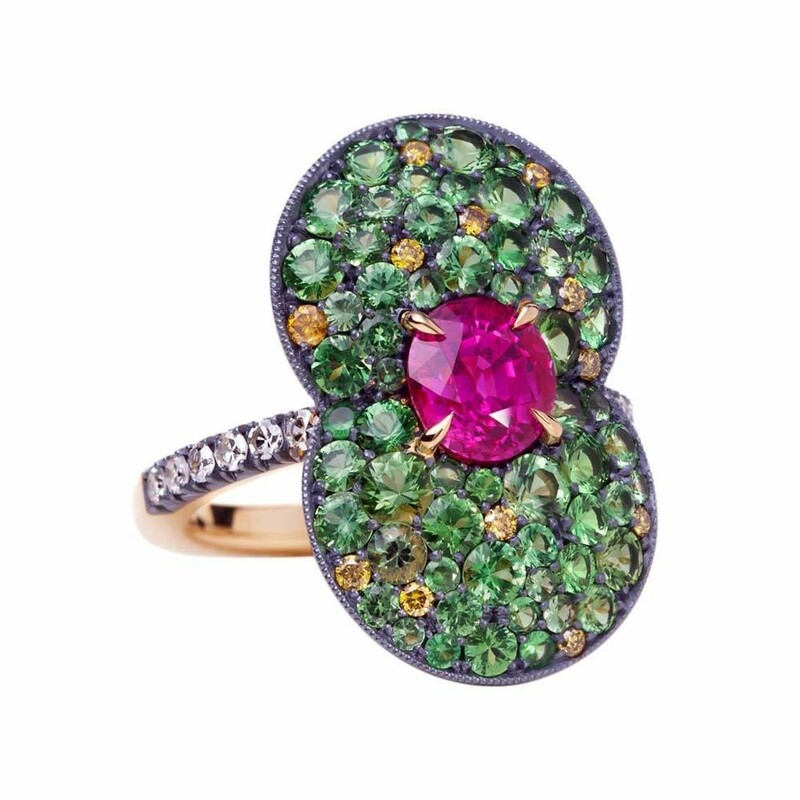 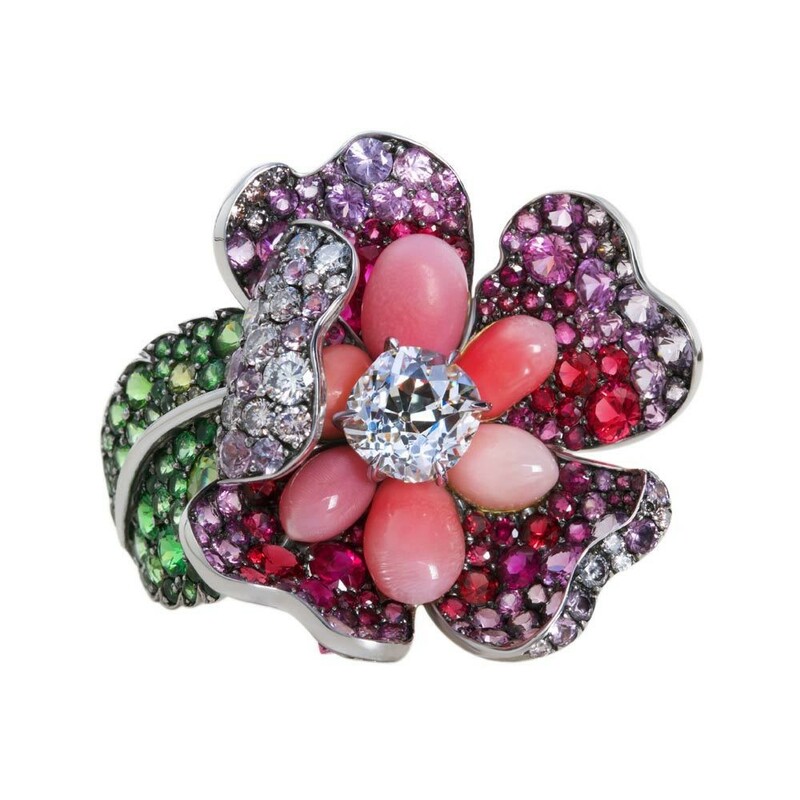 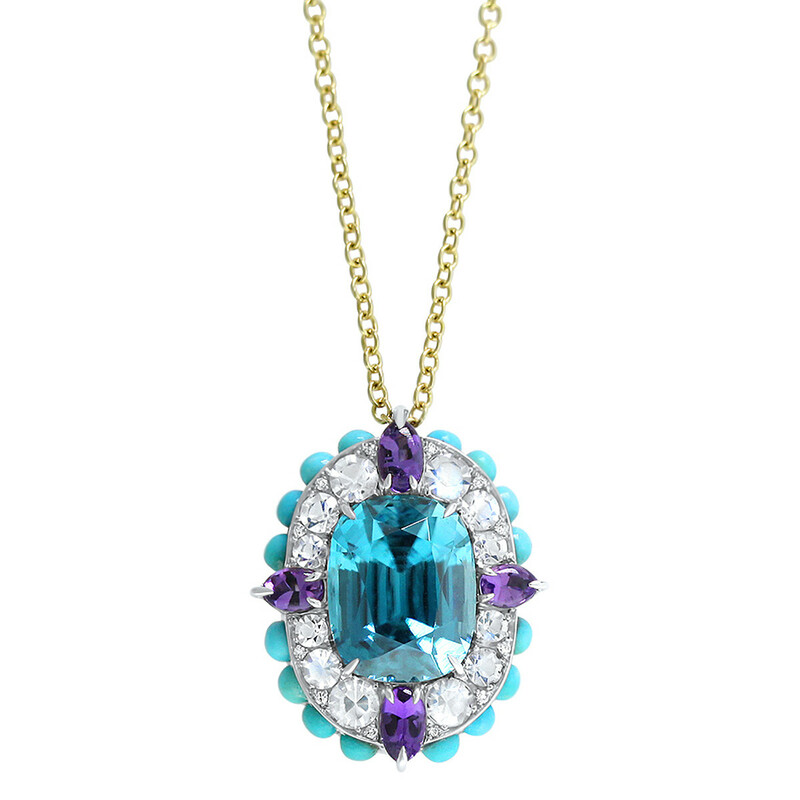 Handcrafted in Australia by David Michael Jewels. 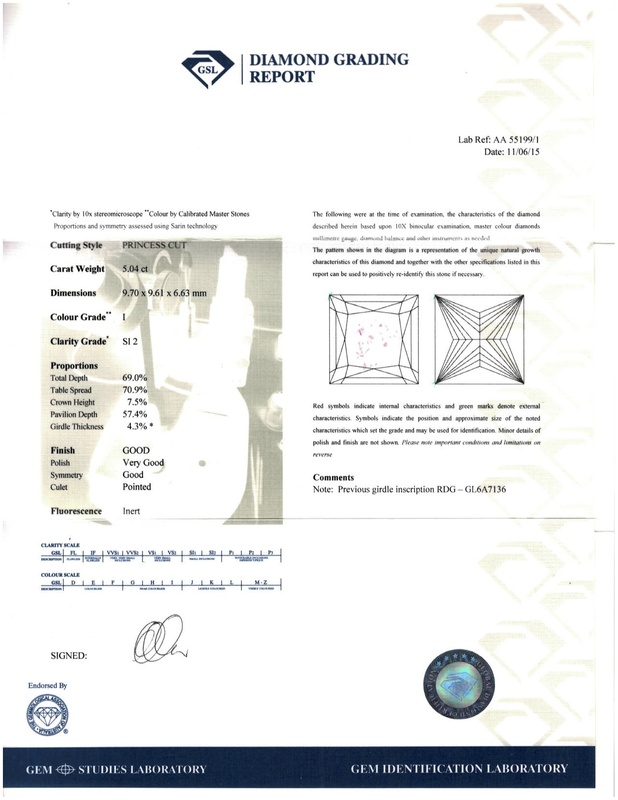 Accompanied by the designers' Certificate of Authenticity and GSL certificate for the diamond, numbered AA5519/1.